Chevron Australia has an exciting opportunity for an experienced Production Specialist Trainer to join the Downstream Production team. Reporting to the Production Coordinator, this role is responsible for ensuring the planning and delivery of all Production team competency assurance requirements as defined by the business and major hazard facility safety report for the facility. 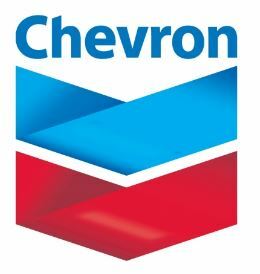 The Wheatstone Project is one of Australia's largest resource projects and along with the Gorgon Project, will help position Chevron as a major liquefied natural gas (LNG) operator in Australia and globally. The project is now under construction and Chevron is currently looking for creative, knowledgeable and skilled people to join the Wheatstone Operations team. The role will be based in Onslow on a two weeks on, two weeks off, two weeks on, four weeks off fly-in fly-out roster. Demonstrated commitment to Chevron’s values of integrity, partnership and trust and achieving and incident and injury free workplace to delivering incident free operations. In return for these skills, attributes and experience, Chevron Australia will reward you with an exciting role, a competitive salary and a fantastic opportunity to develop your career with one of the world’s leading integrated energy companies. Chevron is proudly recognised as an employer of choice, guided by a vision of diversity and committed to equal employment opportunity.